Cookstown Baptist Church was founded in 1952 as a result of a small number of believers praying for the need of a Baptist witness in the town. Over the years a number of gospel missions were conducted in Cookstown and the surrounding district. Following a mission conducted by Pastor H.C. Lutton in 1948, it was recognised that there was a need for a Baptist church to be established in the town. As a result, it was decided to commence services on a Sunday afternoon to assess what interest there may have been in a permanent church being planted. Pastor William H. Rea (pastor in Lisnagleer Baptist at the time) took responsibility for this infant work in Cookstown. After some months, it became possible to change the time of that meeting and hold it in the evening after all church services had ended. Over the next couple of years this little group of believers were beginning to establish roots. They met on a more regular basis in the Orange Hall at Fair Hill and began to seriously consider the matter of forming themselves into a local church. 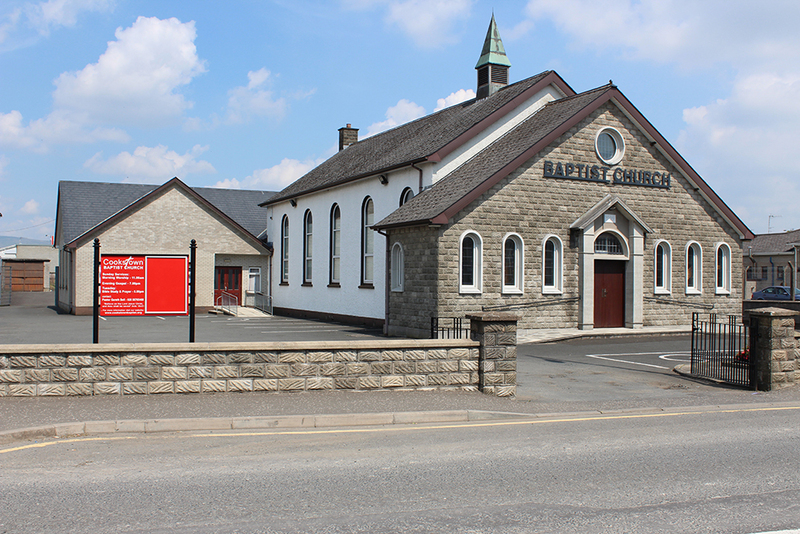 Eventually on the 18th of November 1952, the decision was made to form a Baptist Church with 19 members who signed the following declaration recorded in the minute book – “We, the believers whose names are noted below, baptised by immersion and having accepted the basis of Doctrine of the Baptist Union of Ireland, and desiring to live for the glory of God, do afresh dedicate ourselves to the Lord Jesus Christ. We declare ourselves to be a Church after the New Testament order, for the observance of His ordinances, the proclamation of His Word, and for such other labours for the salvation of the lost and the edifying of believers, as God by His grace may enable us to do”. And so this marked the beginning of Cookstown Baptist Church. Pastor G.W. Bell (2012 – present).